Gerry Rothwell has been practising Traditional Chinese Medicine (TCM) since 1997. He is a graduate of the Irish College of Traditional Chinese Medicine and holds a Diploma in advanced medical Qi Gong from Guangzhou University, China. In addition to his private TCM practice, he worked in a major teaching hospital for six years. He conducted a clinic in the Mater Hospital, Dublin at the Centre for Lung Health treating patients with diseases such as Pulmonary Hypertension, Emphysema, Chronic Asthma and COPD. 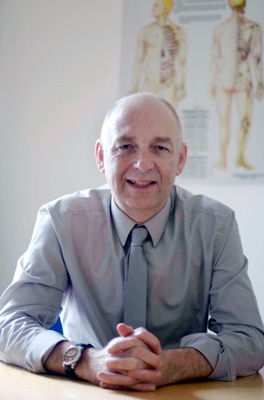 Prior to qualifying as a TCM Practitioner Gerry worked for a number of leading Pharmaceutical companies specialising in Rheumatology, Respiratory, Gastroenterology and Dermatology. He is a member of the Traditional Chinese Medicine Council of Ireland (TCMCI) and is approved by V.H.I, Irish Life Health, Laya Healthcare and H.S.F. for out-patient purposes. Gerry is a Registered Member of the Acupuncture Council of Ireland. He also carries Professional Indemnity Insurance and Public Liability Insurance cover. Patients can be assured of receiving professional, ethical and confidential treatment at Howth Acupuncture Clinic.